We know about the ‘French New Wave’. We may even know the main contributors – Jean Luc Godard and François Truffaut. Originally it was a movement breeding from a group of film critics during the 1950’s which moved from criticism and into filmmaking – the movement inspired Hollywood in films including Bonnie and Clyde and Midnight Cowboy and in directors such as Martin Scorsese and Sidney Lumet. When I first moved to London in 2008, the BFI had a book-signing event. I visited and, swept up in the moment, I approached the author Geoffrey Nowell-Smith and purchased the signed-copy of his book titled Making Waves: New Cinemas of the 1960’s. I had only seen Breathless by this point and asked ‘what would be the best film to start off with if I wanted to understand the French New Wave’. 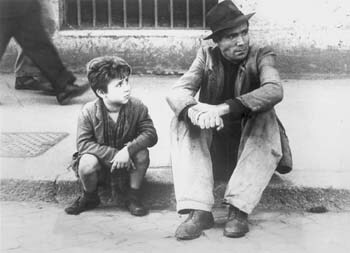 With a friend beside him, the two discussed the question before replying with ‘Truffaut’s The 400 Blows‘. Both nodding in agreement, clearly content in their choice. Almost 5-years later, I managed to watch the film. 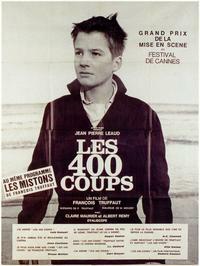 Based loosely on Truffaut’s own childhood, The 400 Blows is the first film charting the life of Antoine Doinel (Jean-Pierre Léaud). In the current age of sequels, prequels and franchises, it is strange to know how a character born within an art-house movement managed to spawn a further four films: Antoine and Collette, Stolen Kisses, Bed and Board and Love on the Run. Antoine is a reckless teenager – in school he graffiti’s on the wall, truants from school and regularly gets into ‘slugging’ fights. Though he is reckless, we also see how his attractive Mum (Claire Maurier) is having an affair – witnessed by Antoine. The family live in a very small flat, whereby Antoine is designated the family-member to take out the rubbish in the evening. The bills are difficult to pay – the threat of the gas-man hovers over the family whilst both parents work, often leaving Antoine to fend for himself. The opening credits appear over tracking-shots of the Eiffel Tower, as seen through houses, factories and trees. Almost to say how France is often seen through these areas of society. Many sequences in the film celebrate Paris, as Antoine truanting from school shows him running around Mont Marte and he observes the city-lights through the back of a police-van. Maybe the true Paris can only be accessed by the elite few – and not by everyone. The majority simply see it in the background to their daily lives. Much like Antoine, Truffaut was very close to his Grandmother until she died when he was 10-years old. Within The 400 Blows, his relationship with his Grandmother is unseen, but Antoine relays a story about how he stole from his Grandmother. Truffaut acknowledged how his love of music and books stemmed from his Grandmother – so he may be hinting at how he ‘stole’ this love from her when she passed. Antoine and Truffaut both moved in with their parents later in their childhood and both had best friends. 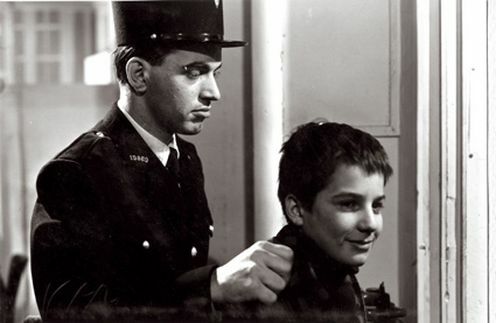 In The 400 Blows, Antoine is best friends with René Bigey (Patrick Auffay) whilst Truffaut remained close-friends with Robert Lachenay – Lachenay is equally credited as the main inspiration for Bigey as Truffaut would often spend nights with Lachenays family. Lachenay and Truffaut remained friends thoughout their lives – with Lachenay working on-set with Trauffaut throughout his career. Crucially, Truffaut truanted from the four-schools he attended – visiting the cinema multiple times during this period. At 14, he was expelled from a school and decided to be self-taught – setting himself the ‘goals’ to watch three films a day, and read three books a week. 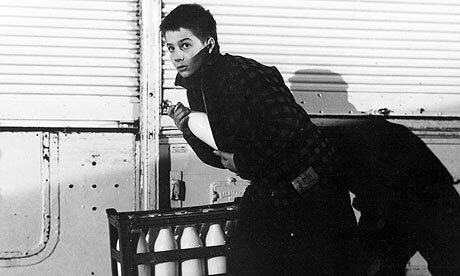 If you consider the final shot of The 400 Blows, you see Antoine look straight-to-camera – he is almost 14 and I imagine that at that very moment, Antoine would become self-reliant, after running away from his family and education. Question is – where does he go next? 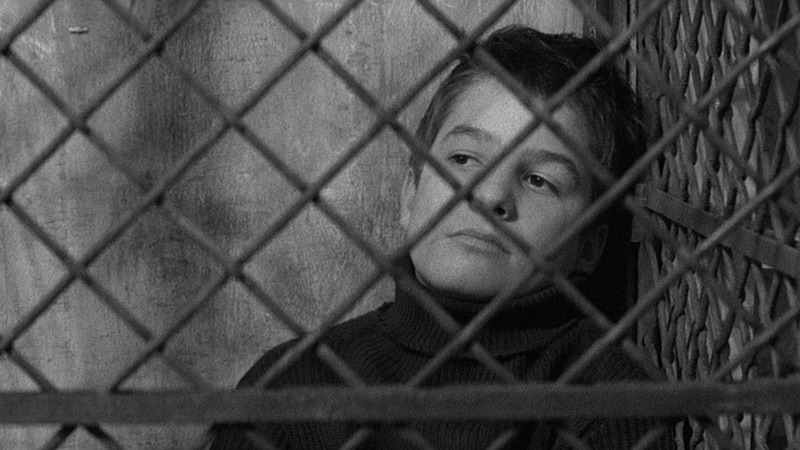 David Sterritt writes about how “The 400 Blows abounds with the spirit of personal filmmaking that Truffaut had celebrated as a critic”. This combined with Le Beau Serge directed by Claude Chabrol in 1958 were the two films which began the French New Wave movement – they captured youth and a carefree attitude. Characters who rebelled against the system – it was unclear if we were to cheer on or despise the characters. In fairness, I know that despite the gangster-traits of Jean Paul Belmondo in Breathless and the truanting nature of little Antoine in The 400 Blows, the guys crave freedom and, in the case of Belmondo, look very smooth, suave and slick in the process. I thoroughly enjoyed this movie when I reviewed it. I want to see the reminder of the series and see the little boy grow up onscreen. It was would fascinating to watch. But a further FOUR films? I don't know. I think I need to be a bit more comitted to the French new Wave to really run with that!